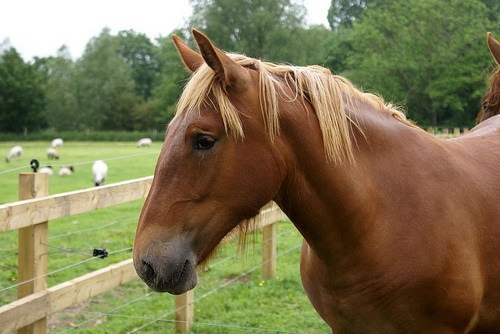 Also known as the Suffolk Sorrel or the Suffolk Horse, the Suffolk Punch is a breed of draught horse from England. Its name is from Suffolk county in East Anglia, and the name “Punch” refers to its strength and solid appearance. 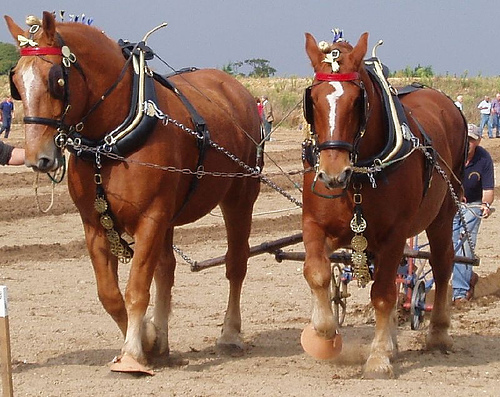 The Suffolk Punch was developed in the early 16th century. It still remains similar to the founding stock. It was developed for farm work and became popular during the early 20th century. However, as agriculture became more mechanised, the Suffolk Punch fell out of favour when it almost disappeared completely. 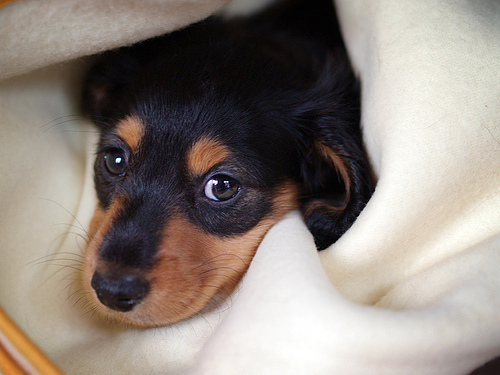 It is actually listed as critical by the UK Rare Breeds Survival Trust and the American Livestock Breeds Conservancy. However, there has been a resurging interest in recent years which has led to the increasing population. Suffolk Punches are fairly sturdy horses. They stand at 165 to 178 cm (or 16.1 – 17.2 hands tall) and weigh about 900 – 1000 kg. They are always chestnut in colour. However, Suffolk Punch horses may also come in different shades of chestnut, ranging from light to red. 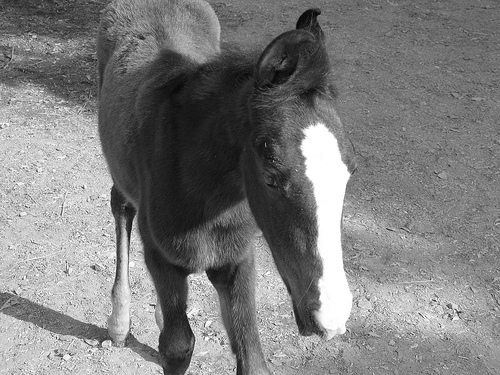 White markings are rare and would be limited to small area on its lower legs and its face. The oldest breed society is the Suffolk Punch registry. The first known mention of this horse was in William Camden’s Brittania which was published in 1586. Camden describes the horse as a working horse from England’s eastern counties. It is also recognisable. This description still holds today. They were originally developed in Suffolk and Norfolk in a relatively isolated area. The farms in this area developed this horse for farm work as they required a horse that had stamina, power, longevity, health, and was docile. As the farmers just bred these horses on their land, they did not have any to sell. As a result, the bloodlines of the Suffolk Punch are pure.